According to Cathryn Berger Kaye, in her article Meaningful Reflection, a Practical Approach, reflection can be informative, generative, or at its most powerful, transformative. Her work here focuses on how to integrate meaningful reflection into your classroom for your students. Reflection does play an important role in student learning and should be a integral part of all classrooms, I also believe that these ideas apply equally to the reflection that teachers need do to improve their own practices. Like many teachers, reflection is a natural and regular part of my life. I spend a lot of time and energy reflecting (often it feels like too much time and energy! ); I think about Student A on my walk home from work, Lesson B while laying down going to sleep, Colleague C as I take my dogs around the block at night, Meeting D over a bowl of cereal at breakfast. While there are many meaningful benefits of this natural and routine reflection, I often do it without planned purpose. Reflection should occur naturally but should also be planned and purposeful. 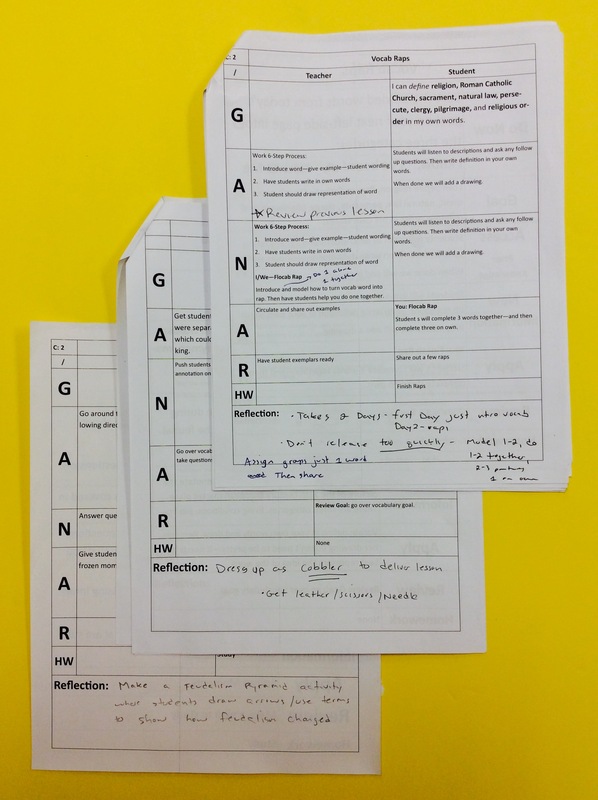 Here are 3 ways I incorporate reflection purposefully to improve my teacher and my students’ learning. This year I began adding a blank Reflection section at the bottom of each of my lesson plans. I still print my lesson plan to have them near by during a lesson in order to stay organized and use planned questions or prompts. At the end of each lesson I then have a space to write down my reflections of the lesson. This is a generative process. I look back on my lesson to see what I will do differently in the future. Sometimes the reflections are specific to a particular lesson, like adding extra time to a think-pair-share activity or to reword directions of an assignment. Other times I draw larger conclusions that apply to the unit or my teaching in general, like to incorporate more cold call discussions or design a tracking system for which students I worked with during that particular day. This helps my lessons and my teaching to evolve and become more focused towards student learning. Like the Beatles said, “I am going to try with a little help from my friends.” Reflection is great alone but can be even more powerful when done with others. 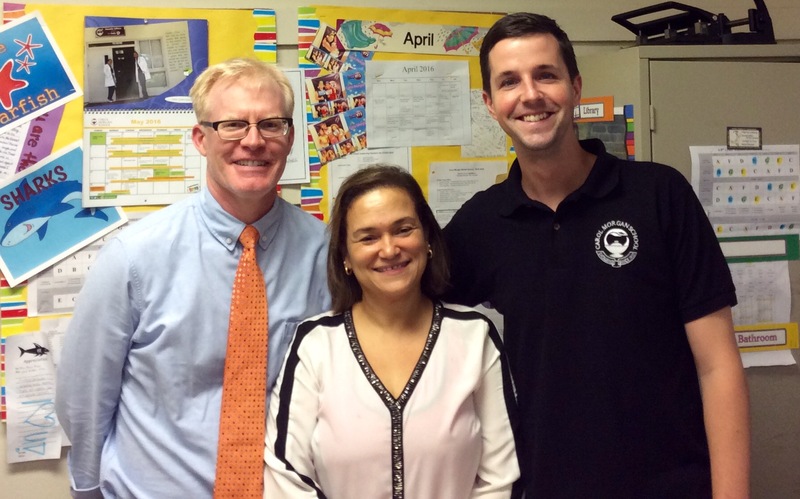 Over the last two years my middle school social studies colleagues, including HighFiveHistory’s own Jason Deehan, and I have set up peer observations. Our group, led by department head Marlene Perez, created a schedule and a protocol to follow. We decided on a technique of having the observing peer write down a series of clarifying and probing questions based on their observations of the lesson. Then after the class, we sit down and discuss the questions – with no unsolicited advice or judgement. The reflection that came about was informative. It is amazing to “see” your class from another person’s viewpoint and to reflect about details from the class you don’t always notice with your own eyes. I have come away with many aha moments from these reflective discussions – how I lead discussions, who I call on, how I move about the classroom, how the class flows. What makes this peer-led reflection so powerful for me is the safe space that my peers and I have created between us. By focusing on questions, and not feedback or judgement, we have allowed ourselves the room to reflect, with a little help from our friends. I have always been open and honest with my students, and I try my best to create a trusting relationship with them. This means at times pulling back the curtain on my teaching and showing them what I do and why I do it. It also means seeking out their opinions of lessons and activities, to get a feel of the class from their perspective. I do this informally by talking with small groups of students who happen to stay a little late or I discuss it with the entire class at the end of a unit or project. I also do it formally by creating student surveys. I use surveys at the end of certain units, especially when I am trying something new, and in the middle and end of the year as a general look back. 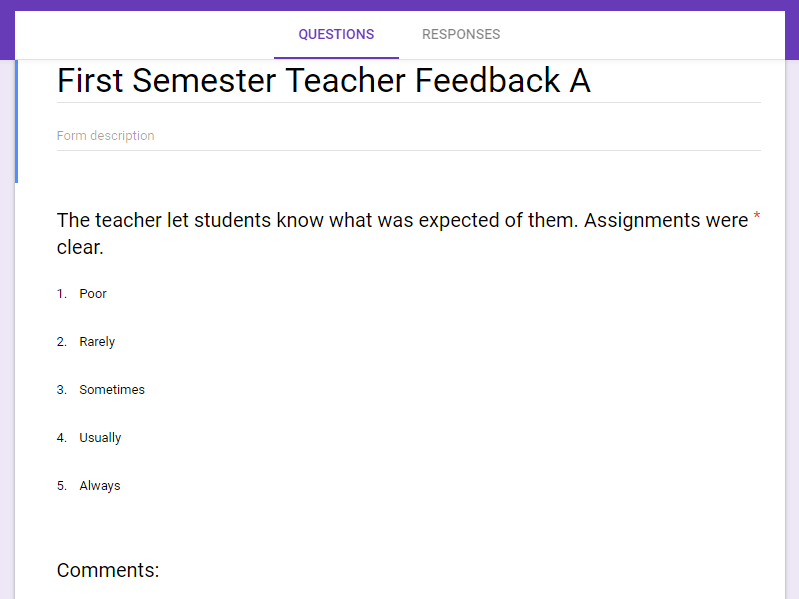 What started out as paper and pencil feedback forms has turned digital with the use of Google Forms (here is an example of a survey I used last year). What hasn’t changed is the valuable feedback, and opportunity to reflect, that comes of seeking out student input. Some of the most transformative moments of my teaching have come out of these student feedback surveys. What I have come to learn, especially with middle school adolescent students, is what you think you do as a teacher and how you intend to be, is not always as important as how the students interpret what you do and construct who you are. Similar to the shift in teaching and learning, it’s not what a teacher teaches as much as what did the students learn. To reflect, or to look back, as a teacher is not just looking back at yourself in the mirror but looking back at yourself from the eyes of your students. Do you purposely reflect? If so, how? I love hearing from fellow educators – please share your own ideas and experiences in the comments below.